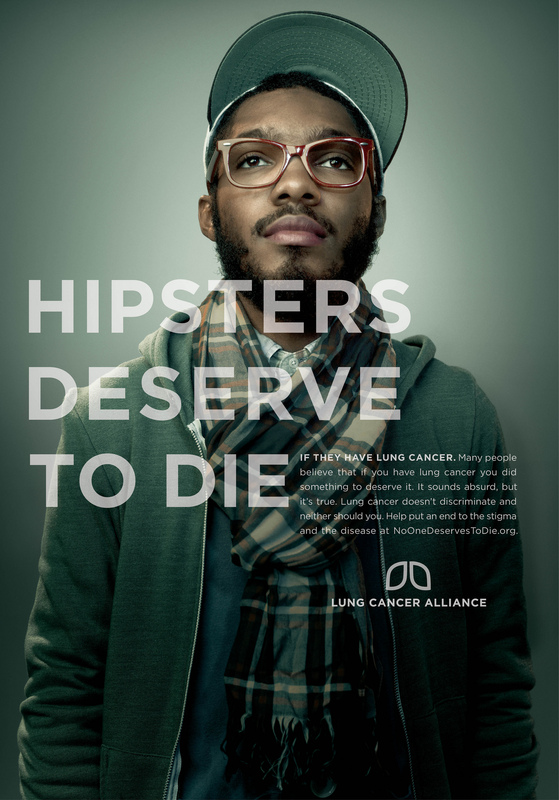 Although these ads have been around for a while, I thought it would be nice to share again since there is still a struggle to “de-stigmatize” lung cancer. Lung cancer is a complicated disease; the two main types of lung cancer are Non-Small Cell Lung Cancer (NSCLC) and Small Cell Lung Cancer (SCLC). NSCLC is the most common type of lung cancer, making up 80-85% of all cases, and typically grows and spreads more slowly than small cell lung cancer. SCLC makes up 15-20% of all lung cancer cases. It is a fast-growing cancer that spreads rapidly to other parts of the body. To read more about NSCLC and SCLC, click here. Many people believe that if you have lung cancer, you did something to deserve it. What they don’t know is that lung cancer doesn’t discriminate; even non-smokers can get lung cancer. Lung cancer is the deadliest cancer, claiming more lives than colon, breast, and prostate cancer combined, but is the least funded. To learn more about the Lung Cancer Alliance, lung cancer, support and resources, and how you can make a difference, click on the image below. A great way to donate or raise awareness and funding for lung cancer research is through the Bonnie J. Addario Lung Cancer Foundation’s Jog For Jill. Click the image below to learn more about who Jill’s Legacy. There are Jog for Jill’s nationwide, so visit the website to find out when the closest run is for you! 80% of newly diagnosed lung cancer patients either never smoked or quit smoking decades ago. 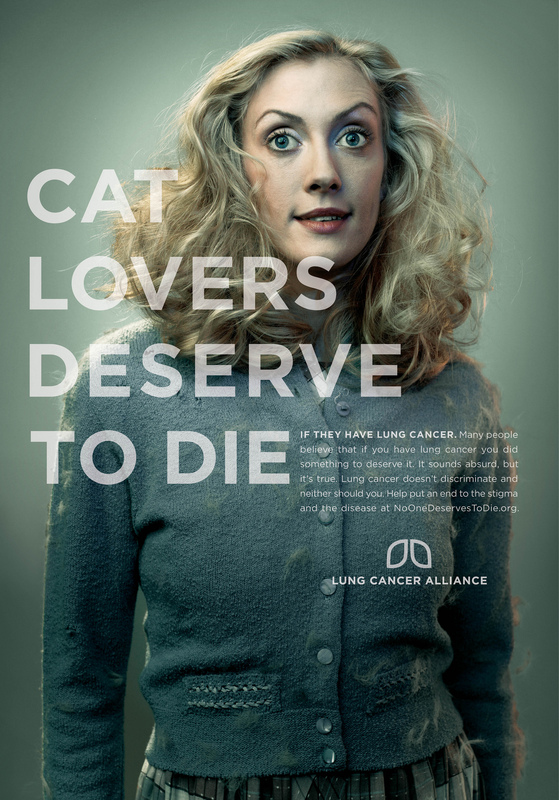 Every three minutes another person is diagnosed with lung cancer. The underfunding of lung cancer has kept its survival rate as low as it was in 1971. Lung cancer will not end or be cured if everyone quit smoking right now.